Koulourakia are the name of these Greek Easter cookies. The most cliché image that comes to mind with Easter in Greece is that of a whole lamb on a spit, roasted to crisp perfection. 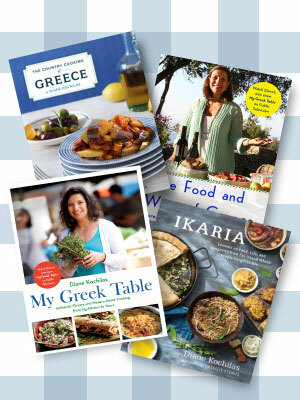 It is not the only way Greeks enjoy their Pascal lamb, though. The Easter table all over the country mirrors the age-old wisdom of any rural people, that nothing should be wasted, and the main foods of Easter are more or less the same all around Greece—lamb or goat, offal, fresh spring cheeses, tender lettuce, artichokes, certain herbs, eggs, and specialty breads and cookies, among other things. But the regional variations on the Easter theme are immense. Specific recipes have evolved from place to place based on the lay of the land, on the local flora, on the origins and history of local populations. Easter, of course, is also a celebration of spring, of rebirth, both literally and figuratively, and many of the foods that are associated with the holiday symbolize that renaissance. After 40 days of strict fasting—as is dictated by the Greek Orthodox church (but rarely followed by the general population any longer)—the Easter feast has to begin slowly, with a light meal after the midnight liturgy on Saturday night. 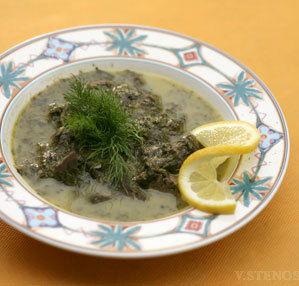 The fast is generally broken with mageiritsa, an offal-based soup flavored with avgolemono sauce. Tsoureki, the fluffy, egg-laden Easter bread, is also on the table, as is a lettuce and dill salad and a bowl of red dyed eggs. Greeks have a custom when it comes to the eggs: they crack them one-to-one. Whose ever egg remains in tact supposedly has good luck in the ensuing year. In some parts of the country, the Easter fast is broken not with a soup but with some other offal dish, such as the tsilikourtha, or sautéed lamb’s liver, which is the specialty on Corfu. On Easter Sunday proper, the meal is an all-day feast, one that has taken days to prepare for. In traditional Greek homes, the eggs are dyed and the breads and cookies are prepared on Holy Thursday. Holy Saturday is for making mageiritsa. 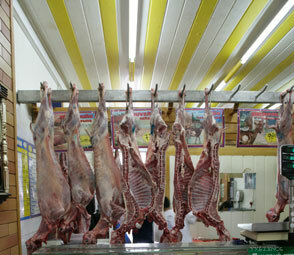 Easter lambs sold whole at butcher shops around Greece. Whole, spit-roasted lamb or goat may be the most popular way to prepare the main course, but it is really a tradition that belongs to the center of the country, to Thessaly and Roumeli. Elsewhere, the Easter meat specialties are different. For example, goat is the meat of choice on many Aegean islands, because goats are more prevalent than lambs. Local cooks prefer to stuff them and roast them whole, often in the village bread-baker’s oven. The stuffings vary from place to place. On some islands, rice and herbs such as dill and fennel, go into the stuffed goat or lamb. Pine nuts, raisins, cinnamon and almonds are also popular, as is, of course, offal. In some places the stuffing also contains cheese. Nothing is wasted on the Easter table, and so Greeks have long savored plenty of offal as part of the traditional feast. The best known offal dish is the kokkoretsi, a kind of large sausage usually roasted on a spit but sometimes oven-roasted. There are countless recipes for sautéed liver and for various skewered offal dishes. One of the most delicious is a dish called souflitses, lettuce leaves stuffed with various innards and cooked in tomato sauce. It is a specialty of central Greece. 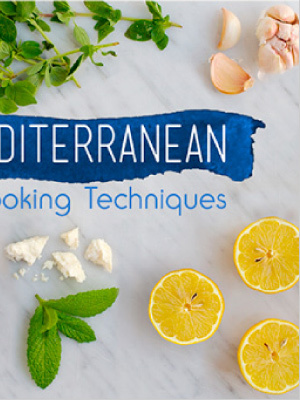 Fresh whey cheeses are a seasonal delicacy all over the Aegean and they often find their way onto the Easter table in both savory and sweet dishes. All over the Aegean, for example, sweet cheese tartlets in varying shapes are customary. Some are seasoned with mastic or mahlepi, others with orange blossom water and/or cinnamon. Combinations of lamb or goat and cheese are also popular. One of the most delicious dishes comes from western Crete, where local cooks make an Easter pie with cheese and lamb seasoned with a little cinnamon. 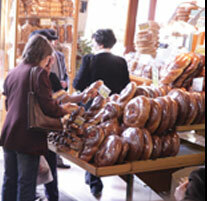 Tsoureki, the Greek Easter bread, is sold in shops and made at home. 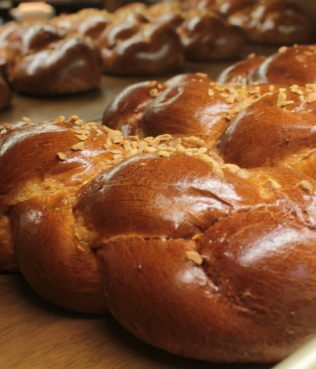 Greek Easter bread is a fluffy plaited loaf enriched with eggs and decorated with dyed red eggs. It is called tsoureki. The braids symbolize the Holy Trinity and the red eggs the blood of Christ. 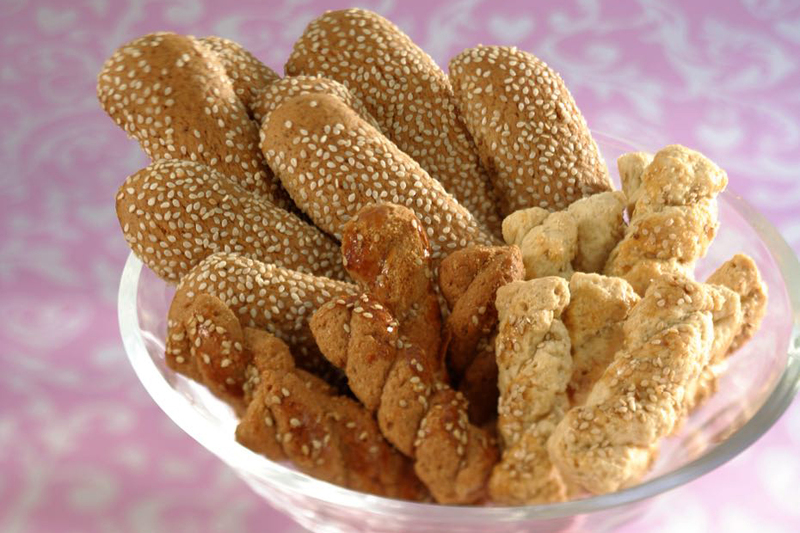 The most common sweet are the cookies called koulourakia, which, like the Easter bread, are also usually twisted or braided, then brushed with egg and baked.